The problem is her article’s timing, and that when David Cameron stretched out his hand in friendship and promoted and indulged her time and again, there was impatience, irritability and dogmatic vexation from the other side (to paraphrase and expand a sentence in Baroness Warsi’s latest attack on the Prime Minister and the Government he leads). And this choice of photograph really doesn’t help, either; conveying, as it does, brazen defiance, if not threat and menace born of contempt and exasperation. And she has chosen to deliver her invective via the Guardian/Observer, which is neither a hand of friendship nor a positive gesture of political kinship. As the Church of England knows well, if you want to bash the Tories, you will find the Guardian a more than willing accomplice: the medium is the anti-Tory tirade. And so we get: ‘Muslims will speak up for British values only when they know they will be heard‘, enhanced with ‘Lady Warsi launches bitter assault on coalition strategy towards Muslims‘. Read them both before proceeding, for the primary source merits some serious reflection, and the complementary editorial some political consideration, if only of the manifest psephological problems the Conservative Party has if it fails to “engage properly” with British Muslim communities. But here’s a thing. Nowhere in either article are ‘Muslim values’ defined. 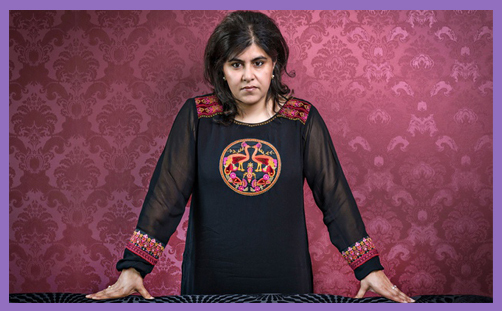 A bit like the Government’s elusive exposition of ‘British values’, Baroness Warsi’s understanding of the values taught by Mohammed – and propagated via the Qur’an and Hadith – appear to be dainty and celestial: peace, tolerance and respect; liberty and democracy; understanding of difference and the acceptance of diversity. It isn’t clear how these values differ from those of any other enlightened liberal democracy, but let us run with them for a while. An incredibly good blueprint already exists within government: the prime minister has an annual meeting led by the Jewish leadership council where a whole range of issues affecting the British Jewish community are discussed. I’ve had the privilege of being part of these meetings with the prime minister. I’ve argued for a long time that the prime minister should hold a similar meeting with other major faith communities. Sadly this has not been forthcoming. The Baroness is absolutely right on this, and David Cameron is wrong. If he engages with the Jewish Leadership Council, there is no rational reason for him not to offer the same courtesy to a similar Muslim organisation. The ethno-religious make-up of the United Kingdom has manifestly become more diverse, fractured and fragmented over recent decades, and that pluralism is, for better or worse, irreversible. Government cannot coerce ethnic minorities into a straitjacket of liberal relativism any more than it can eradicate Christian moral orthodoxy. We can dialogue over theological meanings and argue over principled interpretations, but ultimately the conscience must be free to believe and the believer must be free to speak and act. Either we talk about this, or face the prospect of disquiet, dissent and civil unrest. For Christians, the New Testament provides a framework of normative ethics and what we might call ‘Christian values’. Of course, we are bound in the 21st century to see the need for the enlightened formulation of imaginative analogies in order that our (post-)modern lives might better understand the historical setting and theological meaning – the Sitz im Leben – of the text. Our words and experiences are not those of the Ancient Near East, and so we must struggle with empirical dissimilarity, linguistic obscurity and a myriad of hermeneutic problems. But we have done so and still do so in order to arrive at certain culturally-conditioned timeless truths. The same works for Jews and the Tanakh, so that when David Cameron invites Christian or Jewish leaders to Number 10 to discuss ‘community issues’, there is an unwritten and unspoken congenial coherence in the encounter: we all respect the rule of law, participate in symbolic expressions of national unity, and endorse those cultural values which affirm national identity and the common good. Firstly, to set out proposals for the construction of normative ‘Muslim values’, which may or may not coalesce with those which the Government has defined as ‘British values’ (not least because, as we are seeing, there is an increasing tension between those and certain ‘Christian values’). And, secondly, to draw up a list of Muslim community leaders (however they have emerged) who subscribe to those values without equivocation, and have a proven record of the pursuit of peace, tolerance and respect; liberty and democracy; understanding of difference and the acceptance of diversity. Presumably, we must begin by excluding those Muslim leaders (however they have emerged) who oppose freedom of speech and expression; revile our traditions of political and religious satire; oppose foreign intervention in the defence of liberty and justice; consider that the testimony of women is not equal to that of men in a court of law; believe that girls should sit behind boys in the classroom, and that a daughter’s marriage is best ‘assisted’, if not quite arranged. Or do we include Muslim leaders (however they have emerged) who demur from any or all of these ethical guidelines? In which case, why doesn’t David Cameron engage with the Muslim Council of Britain, which is the body “established to promote consultation, cooperation and coordination on Muslim affairs in the United Kingdom”? And why doesn’t Baroness Warsi insist on membership of its Executive Committee? Or, better still, put herself forward for the position of Secretary General? Surely it is better to try and effect change incrementally from within than to depart and excoriate from without? Only by engaging in some serious textual exegesis may we understand what ‘Muslim values’ are, and only by considering who may constitute this new Muslim Leadership Council might we see how it would differ from the extant MCB. This requires an integrative act of the imagination, but it is surely a worthwhile pursuit.